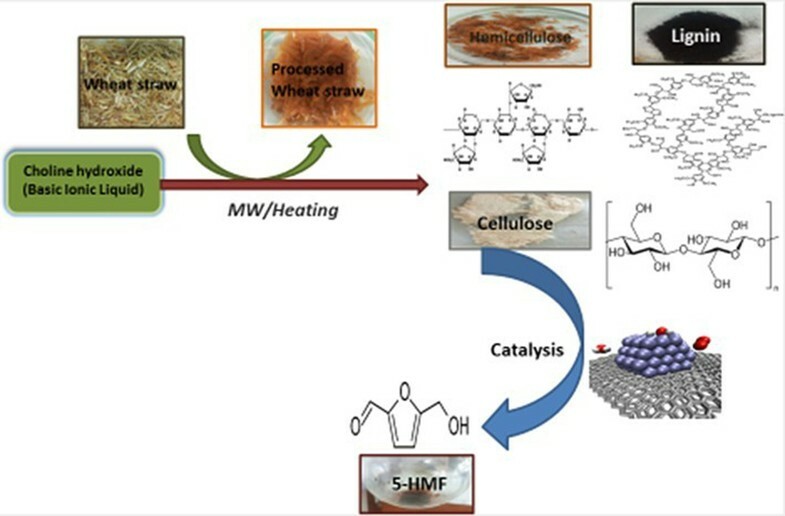 The present work demonstrates the efficient alkaline pre-treatment method to obtain a cellulose rich fraction from agricultural waste biomass using low cost and biocompatible aqueous choline hydroxide [Ch]OH, a basic ionic liquid (BIL) and the conversion of isolated cellulose into 5-(hydroxymethyl) furfural, catalyzed by various homogeneous acidic deep eutectic solvents (DES). (a) Low cost, mild biodegradable choline hydroxide (basic ionic liquid). (b) White cellulose fibers without bleaching process. (c) Recyclable and recoverable catalysts. And (d) High yield and purity of 5-HMF. The online version of this article ( https://doi.org/10.1007/s12649-019-00603-2) contains supplementary material, which is available to authorized users. 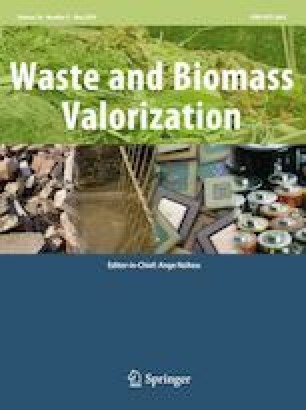 The authors are thankful Punjab engineering college (Deemed to be University), Chandigarh for necessary facility and SAIF-CIL Punjab University, Chandigarh for spectroscopic analysis.